I have another post in my Product Battle series. I love when I stumble across an affordable, high quality dupe. Today, we're talking about pigments. 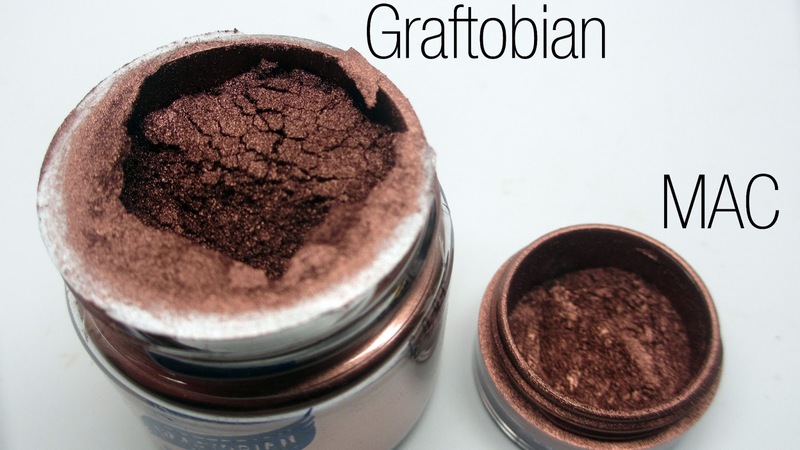 When I was at the New York Makeup Show I was introduced to one of Graftobian's newest shades of Cosmetic Powdered Metal. If you love MAC pigments and are looking to save money, check this out! 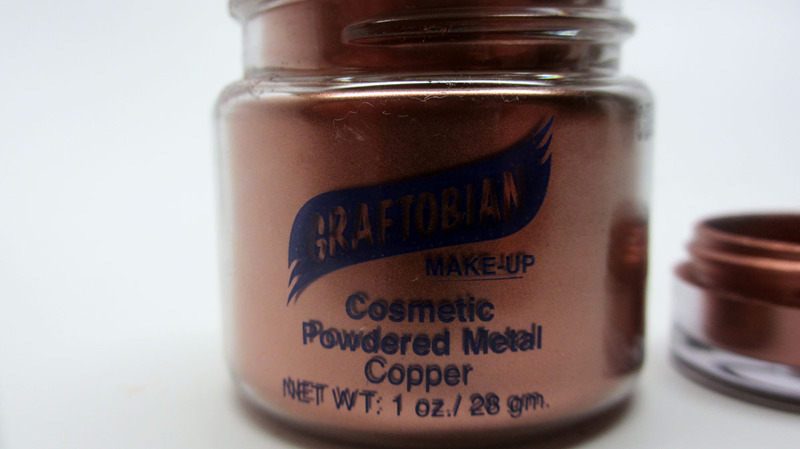 Today we're putting Graftobian Cosmetic Powdered Metal Copper against MAC Copper Pigment. Both are gorgeous metallic copper loose pigments and can be used for everything from eyeshadow, to liner, to hair and body FX application. MAC Copper Pigment retails for $21 for 4.5g/0.26 oz. A bit pricey. As you can see, I only have a sample jar which I purchased from a girl that sold MAC pigment samples when it was the hot thing to do back in the day. I received the Graftobian product gratis while working for them at the New York Makeup Show. 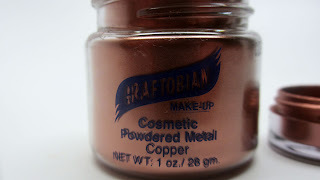 On the other hand, Graftobian Cosmetic Powdered Metal Copper retails for $8.49 for 1 full oz. You get nearly four times more product for less than half the price. Major win for Graftobian! 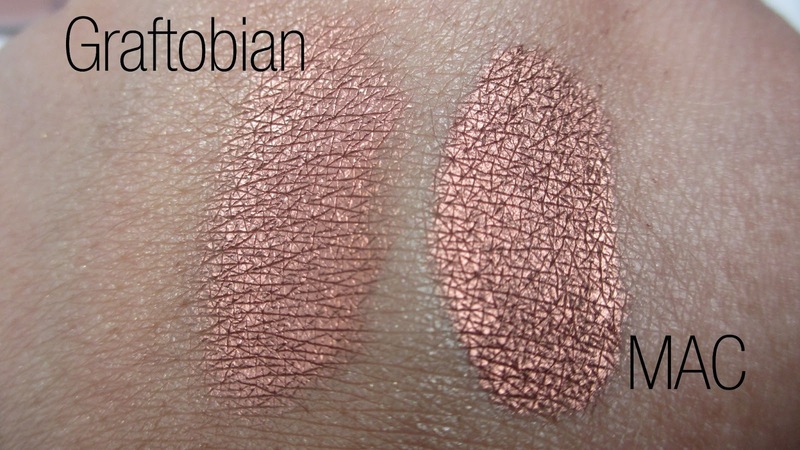 When you swatch the products they are pretty identical. Quality for both is great. This is definitely a unique product as the reflective metallic shimmer changes depending on application...sometimes it looks darker and sometimes more shiny. If you have a metallic pigment you'll know what I mean. I recommend packing it on for opaque color impact or applying it wet for an intense, even tone. Graftobian can be found online and at select retail makeup/theatrical distributors like www.camerareadycosmetics.com and Norcosto. 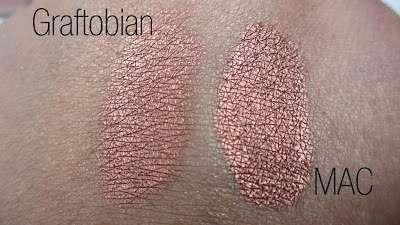 I will say MAC is much easier to find in person...at your local mall department store and also on www.maccosmetics.com. However, online shopping has nearly made this a non-factor if you're willing to place an online order. 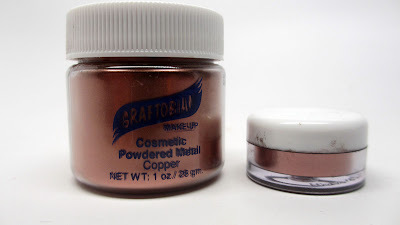 Tip, mix the Cosmetic Powdered Metal Copper with a mixing medium to foil the eyeshadow, turning it into smudgeproof liquid metal for a popping lid color or metallic liner. Clearly Graftobian won this product battle. Ultimately you get way more of the same product for a much more affordable price point. Hope you guys enjoyed today's product battle. More to come! and I'm nominating you for a blog award this week. @chantel glad you enjoyed it! @xlovehappyx no problem, glad to help! and thank you so much!